Synapse AI is a project combining machine learning Artificial Intelligence and blockchain technology. And their objective is to give the power back to the users for their content. Because these days, users give away their data to companies in exchange for centralized access to application and services. See Facebook, Google and all the other “free” services like these. Never forget that if you’re not paying for it, then you’re the product. And in this case, your data have value for companies. Therefore, the team behind Synapse AI is developing a marketplace, where you’ll be able to share your data. And you’ll even get paid for it! Indeed, whether from your device that connects to media, or from an app or a web-based service, you consistently create data. And thanks to their solution, you’ll be able to choose which data you share in the AI marketplace and be compensated for it. And on the other side of the equation, companies will be able to purchase your data to grow their business. So of course, they’ll use these data for marketing purpose: To advertise. But almost all industries are in search of data, all the time. And instead of getting these data for free, at your expenses, they’ll have to pay for them! If you want further details, read their white paper! 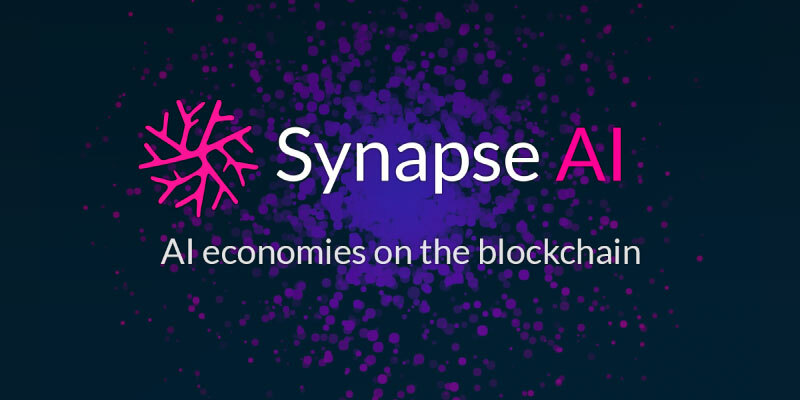 SYN token is the official cryptocurrency of Synapse AI. And it’s an ERC-20 token built from an ethereum smart contract. The project will generate a total of 1,000,000,000 SYN tokens. And they’ll be used for all transactions on the marketplace. How to get the free SYN tokens? Finally, check the Terms of service box and click on Create Account. Now, the only thing is to confirm your email address, by clicking the link in the email. And you’ll be part of the Synapse AI airdrop! Also, you’ll get a signup bonus of 150 SYN tokens! But wait, there’s more! You can get even more SYN tokens by inviting your friends and family to participate. And you’ll get 100 SYN tokens for referring someone to sign up. Even better, you’ll receive 5% on all purchases they make! So where can you find your unique link? In the member area, click on Referrals at the top right corner. You’re welcome! Synapse AI is a marketplace for users' data. And it will allow you to get rewarded, instead of giving away your data for free. Because data is the new oil! And you can get an incentive to join the platform. Claim your tokens today!